You may love your website and spend hours on it to optimize the design and page flow, but what about others? Do they love it as much as you do? Do they spend time on it to go through the contents or services you specify in it? Bounce rate helps you in determining the answer to those questions. It is a commonly used metric that speaks about the performance of the webpage. 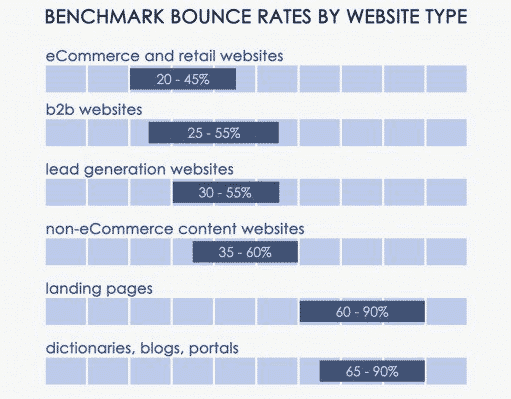 What Is a Bounce Rate of Any Website? The bounce rate of a website is the percentage of visitors who visit only one page in your site before leaving it. A high-performing page will always have a low bounce rate whereas a low-performing page usually has a high bounce rate. What are the Common Reasons that Trigger Bounce Rate? Closing the browser on purpose or accidentally. Reading the whole contents in a page and leaving without triggering any events. Following any outbound link present in your blog. As mentioned above, high bounce rate can hurt your website’s conversion rate. However, you cannot always precisely identify the bounce rate of your B2B site. It is because each page in your website serves different purposes and you cannot expect to get the same result throughout your website. For instance, the contact page on your website usually has a higher bounce rate compared to blogs. People do not like to spend their time visiting other pages after filling the contact or inquiry form. Also, the type of industry matters while estimating the bounce rate. If you are looking for general benchmarks, go through the data from ConversionXL mentioned below. Now we know the meaning of bounce rate and the ideal number for each page. But the final question is – how to lower this bounce rate? If a person leaves your website as soon as he enters, there is no scope for the growth of your business. Hence you must know the methods to lower it to build your brand value. Below are seven hacks that will guide you to get started. How to Lower the Bounce Rate of Your B2B Website? Since more page views happen on mobile devices than on desktop, you must optimize your site for mobile to reduce the number of bounce rates. Also, the loading speed matters when you do it for smaller devices. Hence you must pay more heed to this factor as well. The study by Akamai states that 53% of mobile users leave the site if it takes longer than 3 seconds to load. Hence if any page in your B2B site falls under this category, optimize its content for better performance. There are several tools online to test the speed of your page. Google’s PageSpeed Insights is one of the commonly used tools which analyzes the content of your page and provides suggestions to boost its speed. Ensure that you include at least one Call-To-Action (CTA) button in every page of your B2B website. The visitors may or may not understand your product or services well after visiting the page. And, these CTA’s will help you to guide them in these scenarios. Besides, do not forget to include internal links in your pages. This links works like a charm for SEO and also provides the better user experience. But always make sure that these links are relevant to the current blog page topic or offer them additional information about it. Once the users start visiting other pages in your website, it lowers the bounce rate remarkably. Once you identify the low-performing pages, you need to work on it to increase its performance. And, you can do it with the help of the steps mentioned below. Identify the old contents and start updating it. You must keep all your old high-traffic posts up-to-date if you wish to keep the bounce rate down. Avoid multiple pop-ups in your low-performing pages. In general, these pop-ups are bad for the user experience, and you must avoid it always. Check for irrelevant keywords with dual meaning on your website. You may receive high traffic, but at the same time, the bounce rate surges to the peak when users realize they are in the wrong page. If there is any broken link in your content, fix it immediately. Take the help of online tools to identify such broken links in your site. If you don’t provide your user with the next logical step, they may bounce to other websites quickly. Hence always provide in-depth information in your content along with “further reading” option for curious readers. Use this option at the bottom of your page immediately after the completion of the current blog content. There are many plugins online that help you in this aspect. For instance, you can use YARRP (Yet Another Related Posts Plugin) in the bottom of the page that recommends a handful of related posts to the user. Always invest your time in great design. A website with good design makes navigation easier and thereby reduces the bounce rate immensely. 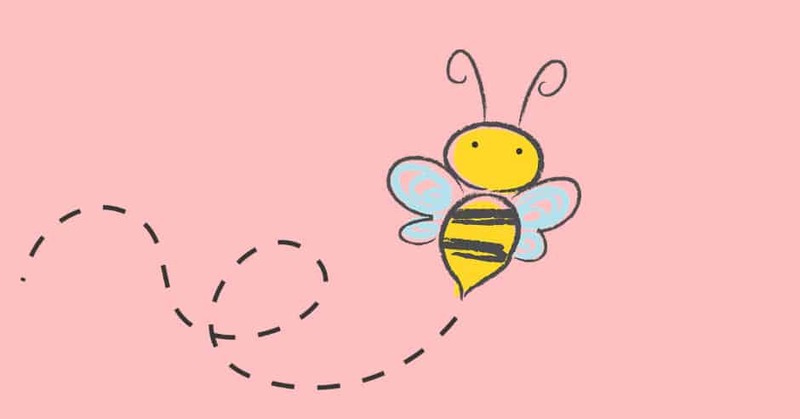 If you make your visitors to spend some time searching for the contents they desire, they may leave your page and move to some other website. Hence you must pay attention to making your site navigation as comfortable as possible. Don’t ever include animated drop-down menus that are illogical, image links that don’t even look like links or some other similar navigational patterns. Your site navigation must always be instantly understood and provide a better user experience while moving from one portion of your website to another. As mentioned above, do not include many pop-up ads on your webpage. It will annoy the readers although your page has interesting contents for them. Hence include them strategically only in the places that require user’s attention. This method will reduce the exit rate of your page quickly. Instead of making pop-ups appear after a certain number of seconds or when the user scrolls the page, try a different approach. That is, make it pop when the user reverts to the top of the page to exit. And, make sure that these exit intent pop-up ads redirect to the thank you page or to some other page with a relevant topic. Content plays a prominent role in the growth of the B2B website. Hence you must focus on providing good materials along with good design. Follow the tips mentioned here to create compelling content for your site. The attention spans of people are getting shorter, so you need to focus on writing concisely in a short sentence. Use appropriate headers, subheadings, suitable images, and bulleted lists to make your content appear visually appealing. Also, try to translate your site contents to multiple languages. This method helps in increasing international traffic and reduces the bounce rate quickly. Do not forget to make your “404 Error Page” more approachable. Whenever any user lands on this page, guide them what to do next by mentioning a relevant link or including a search box in it. Make the external links to open automatically in the new window. Run user and browser test regularly to identify the issues with different web browsers. You can reduce the bounce rate easily by splitting all the long posts into shorter chapters. The website visitors don’t care about you or your company; they only care about what they want. And, if you fail to offer it, they will immediately move to some other website where they can find what they desire. Hence examine your current site and identify the ways to satisfy their needs. If it has a bounce rate higher than average, work on the page design, load time, usability, navigation, call-to-action, and other factors mentioned in this article to reduce the bounces to a greater extent.